Social media is still my first port of call when it comes to finding out what’s new and worth trying out, so a quick twitter request threw up a couple of suggestions prior to my Leeds visit. There’s so many new places opening up it can be tricky filtering out the good from the bad. 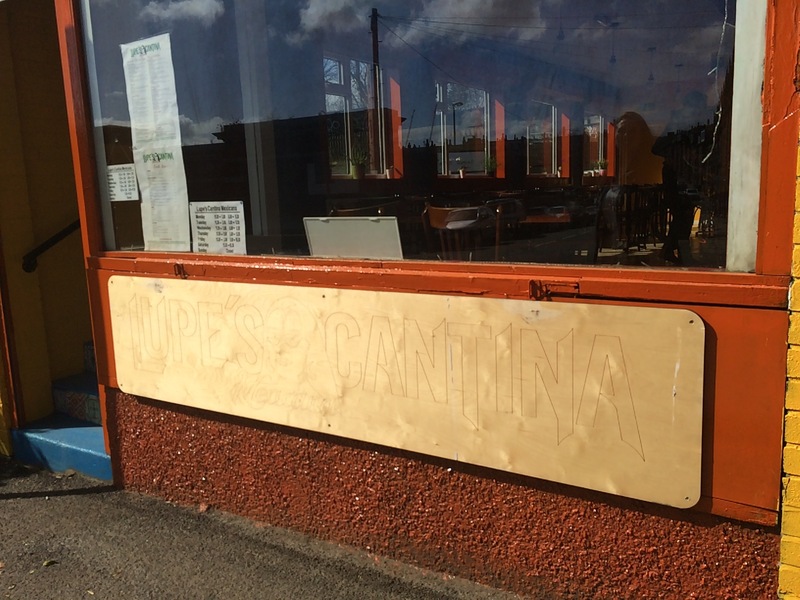 One that instantly appealed was Lupe’s Cantina Mexicana on Cardigan Road, thanks to blogger bigspoonlittlespoon.com for the recommendation! The place doesn’t have a website, but it’s Facebook page had lots of glowing reports and so my decision was made pretty swiftly. 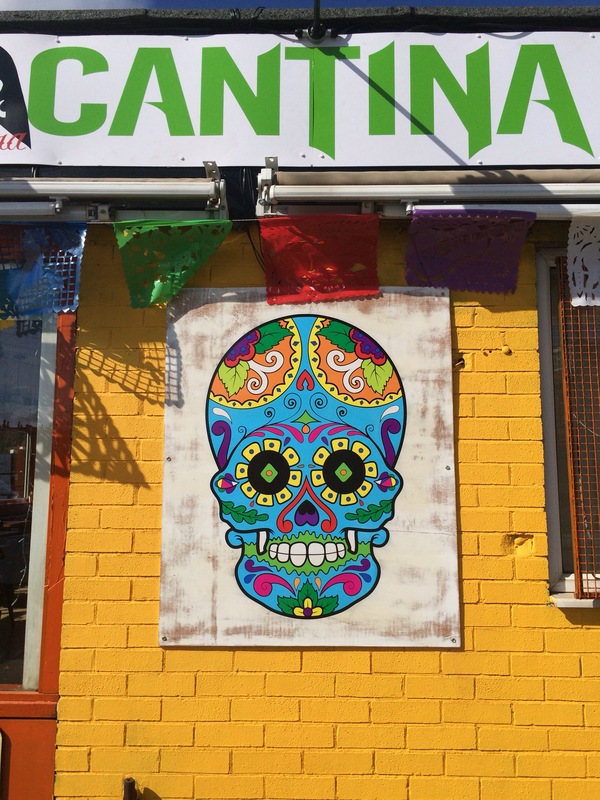 Located on the lower part of Cardigan Road, for those in the know it’s just passed the Spar petrol station on the left, opposite the Harold’s (as I call them) and from the street looks like a roadside cafe that’s been pimped up with vivid yellow walls and Mexican skull wall art – I loved it straight away! The place was definitely deceptive in terms of size, from the street it looked small, but its open kitchen and bar sat nicely alongside the dining space leaving enough room for plenty of tables. 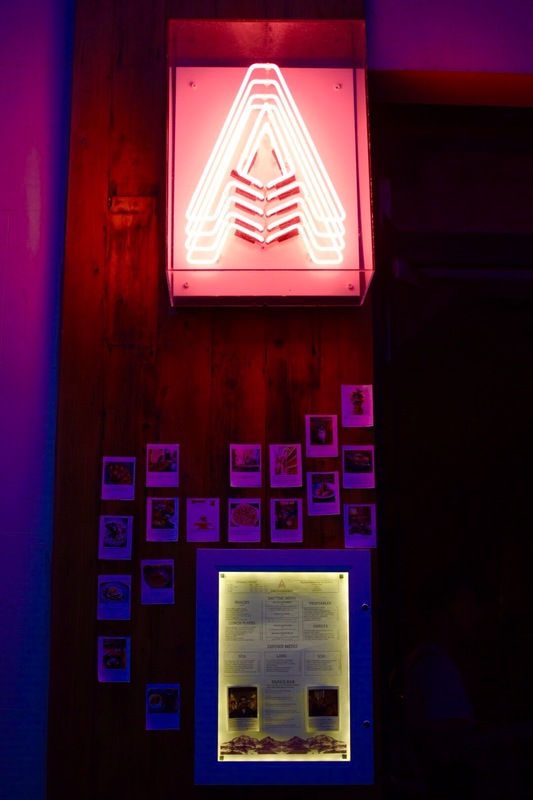 A comprehensive menu, very clearly laid out was on show with guacamole, salads, ceviche, street food, seafood sides, meat dishes, tacos and enchiladas – lots being gluten free, great for when the other half comes back for a visit too; if it was any good that is! Drinks-wise they offer beer, cocktails and soft drinks, including some traditional Mexican offerings, we went for the Agua de Jamaica; intrigued by a concoction of hibiscus flower, sugar and water. Sweet without being sickly, it was perfectly refreshing. The place itself had only opened a few weeks earlier, after lots of eager diners kept asking when it was opening. A relaxed, warm welcome made us feel at home quickly and our food came out at a steady pace, we were in no rush and were happy to graze. From the four items we picked, there was lots to enjoy and commend – homemade thin, crisp tortilla chips served with salsas that tasted homemade too – the tomato one didn’t resemble a standard chunky salsa I’m more accustomed too, was full of freshness and heat where required. From the street food section the flautas was a highlight – a crispy rolled tortilla filled with mildly spiced chicken and topped with earthy black beans, a tomato salsa, sour cream and mild queso fresco which all worked so well together. The sopes rancheros was another tasty mouthful – the shredded beef in an adobe sauce had a delicate piquancy, more hearty black beans, all balanced out with avocado and queso fresco. 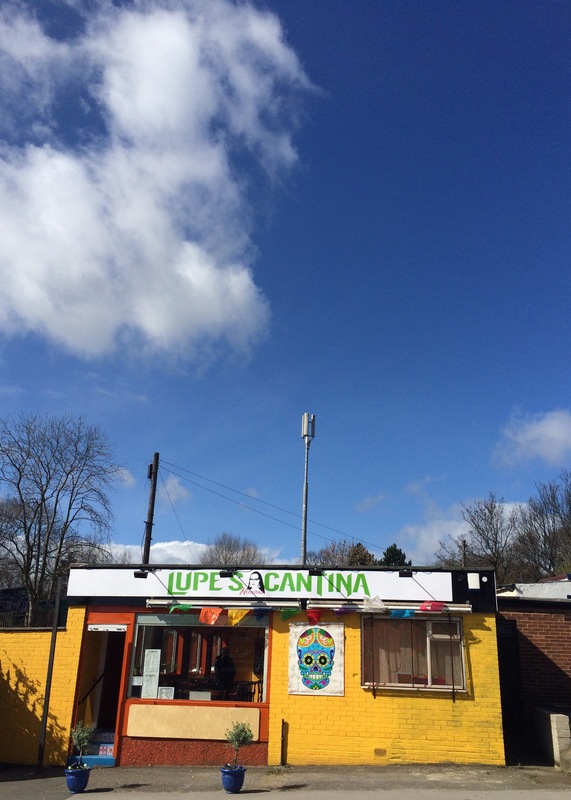 It’s probably obvious I really liked Lupe’s Cantina Mexicana, it’s open for lunch and dinner so get yourself down there!!! It’s an informal and relaxed affair, the food is so so good, there’s plenty for meat lovers, veggies, also lots of gluten free dishes and it’s all kind on the pocket!! Many moons ago, when I first moved to Leeds my mates and I would start out the weekend in Headingley. Every Friday, I’d get there around 4pm with a friend/work colleague and we’d set up stall in the Arc. On a weekly basis a ritual of feasting on plates of potato wedges with white wine started?!?! Who knows why, it sounds bizarre now! Our mates would join us and at closing time we’d pile into taxis and head into town, Oporto to be exact, which is where we’d be until the early hours. 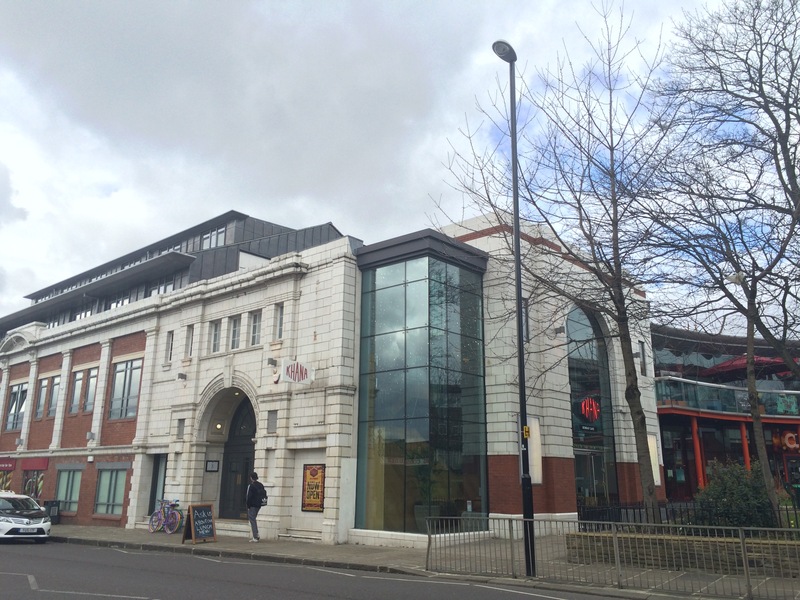 One thing I also remember was back in those days, the Lounge cinema was still doing business on the corner by the Arc, one of the last films I watched there was Lord of the Rings one December (not sure which part) we’d sit on the red velvet seats with our drinks from the downstairs bar. How things have changed since those days – the Lounge closed years ago, was vacant for ages and my memory fails me to what’s been there in recent times, but obviously nothing that had staying power. My jaunt up to Leeds in the Easter hols had come after my Chicago trip, so my spending budget was tight – always frustrating when I just want to try as many spots as possible! For one reason or another, Headingley was were I was catching up with an old mate, and keeping an eye on the city’s food scene I sort’ve knew there were a few places to try. 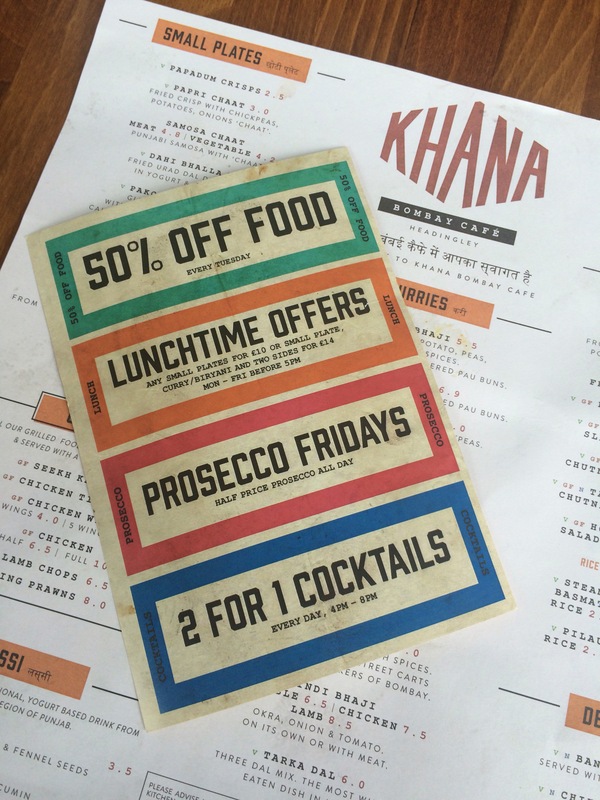 Khana Bombay Cafe was one that was open all day and their food deals came as a bonus. Advertised as an all-day cafe the menu has lots to get the juices flowing, and in a similar style to faves Bundobust and Tharavadu have gone for a modern feel. 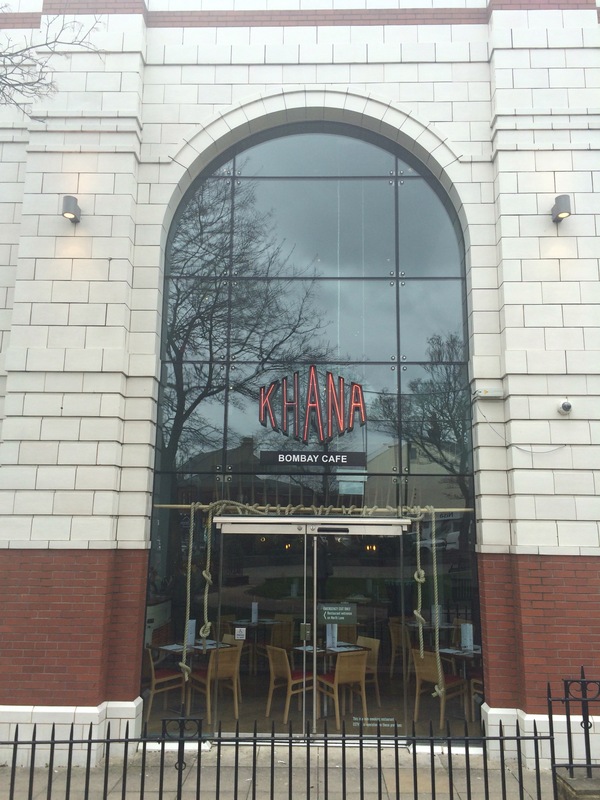 The restaurant benefits from large windows letting light in and also the upstairs for extra dining space. Whilst downstairs there’s an open kitchen, a spot of nostalgia on the walls with old photos and the odd bit of quirky decoration, e.g. the front of a truck doubling as the front of a counter. 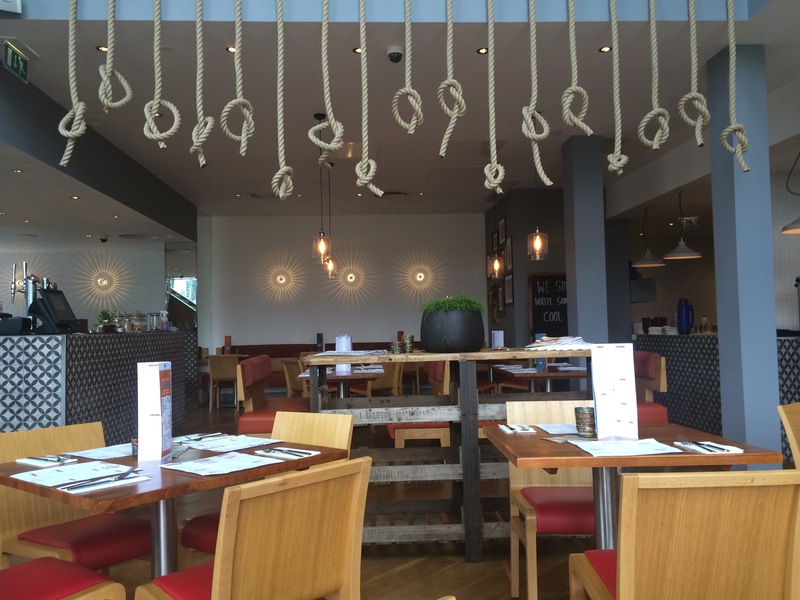 The bit I found a little odd were the ropes, picking a table by the window meant I was faced by ropes slightly reminiscent of nooses hanging from the ceiling. 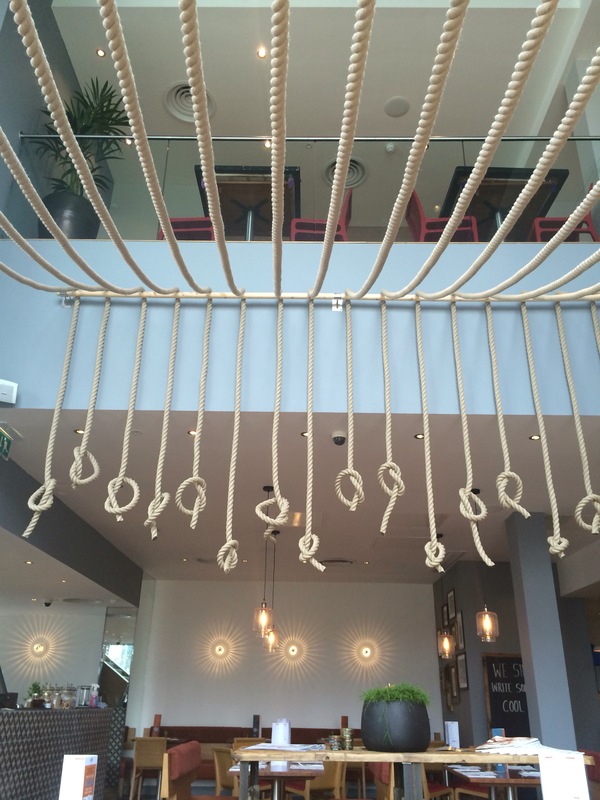 These ropes draped across towards the window and hung down like school gym ropes, you probably know the ones I mean?! Maybe I just didn’t get the whole aesthetic! The deals on paper looked straight forward, but needed clarification – could we still get 50% off the lunchtime offer – which was a good one in its own right. The answer was ‘yes’, so after quite a long time perusing the menu and chatting, we got our act together and ordered. The lunch deals looked too tempting – 3 small plates for £10, followed by curry/biryani with two sides for £14 and by sticking to water, we hoped for a bargain lunch especially with the 50% discount also applying. Apart from a couple of other tables we were the only people there, it was Easter hols so students were few and far between. Smells from the kitchen very gently wafted across, suggesting a decent ventilation system especially with an open kitchen! Waiting times were fine, as they should’ve been considering it wasn’t busy, so soon we were brought a vegetable samosa chaat, chicken kathi roll and an aloo tikka. My favourite was the kathi roll, which on its own was a good size and filled with lots of nicely spiced chicken. The samosa chaat was tasty, but lacked the punch I was expecting, my love of the samosa chaat from street food queen Manjit of Manjit’s Kitchen remains. The balance between crunch from samosa and soft chickpea and tangy sauce was a bit off kilter too, personally a little less of the chickpea and more samosa for me, but that’s me being very picky. The aloo tikka were also gently spiced and could’ve been a little crisper on the outside, however tasty nonetheless. 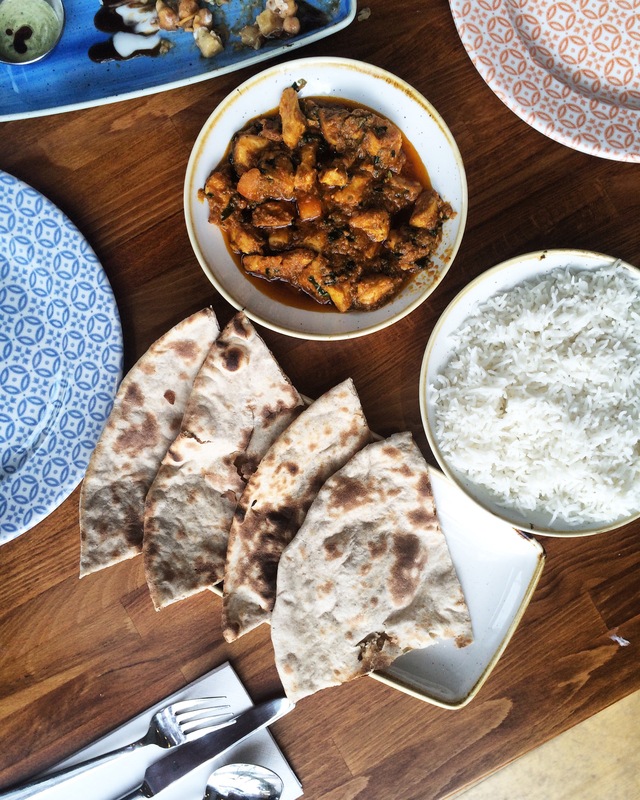 A short wait for the main courses brought a chicken karahi, plain naan and steamed rice, all of which couldn’t be faulted. The curry was really enjoyable, had the spiciness I expected and came in a generous portion. I love it when naan breads aren’t piddly tiny things and this wasn’t, coming with a bit of chew and beautifully blistered and gnarly every now and again it was a good one. The rice, steamed was lovely and fluffy, so all in all the three together was a winner in my book. 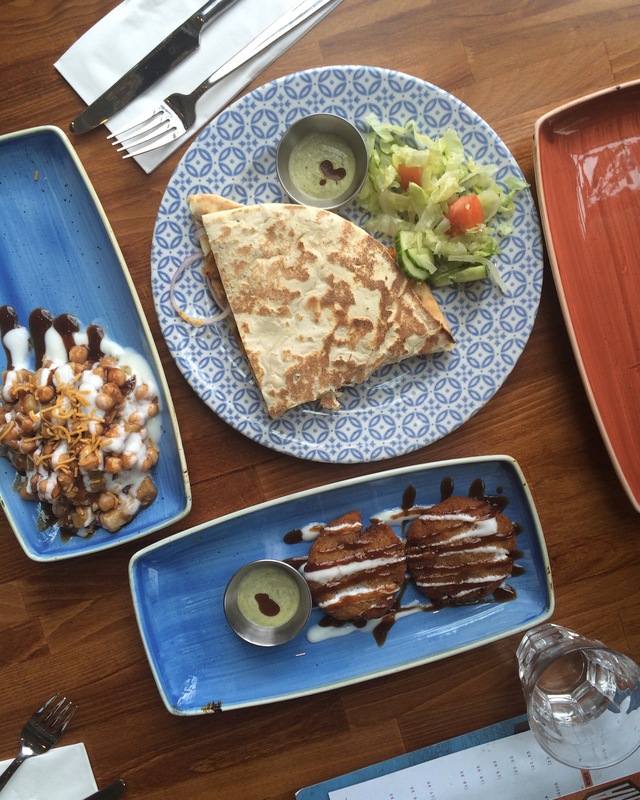 So how much did our lunch come to – an absolute steal at £12.35 in total!!! I’m not sure how long the deal is on for, if it is remember to book online to qualify for the discount. Overall Khana Bombay Cafe is doing lots of things right, the food’s tasty and service is friendly. It’s great to see the place being used again – I hope it lasts!! 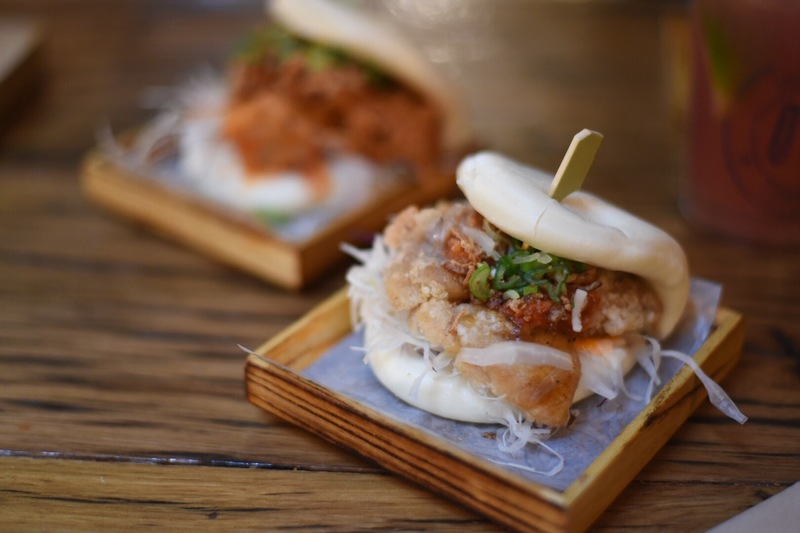 On The Bab, Korean street food purveyors are found in Covent Garden Opera Tavern. Their food I’d seen on Instagram and basically just wanted to get my hands on their fried chicken, take a look for yourselves and you’ll see what I mean. Our lunch stint at the Opera Tavern had filled me satisfactorily, but when seeing this place on the way out I couldn’t help going in, I’m hoping you’ll forgive the lack of willpower?! On entering, tables fill a fairly narrow space and work their way around the counter where all the action in the kitchen and bar happens. With just a few spare bar seats unoccupied, we took up the remaining counter spots after a little struggle to get there. 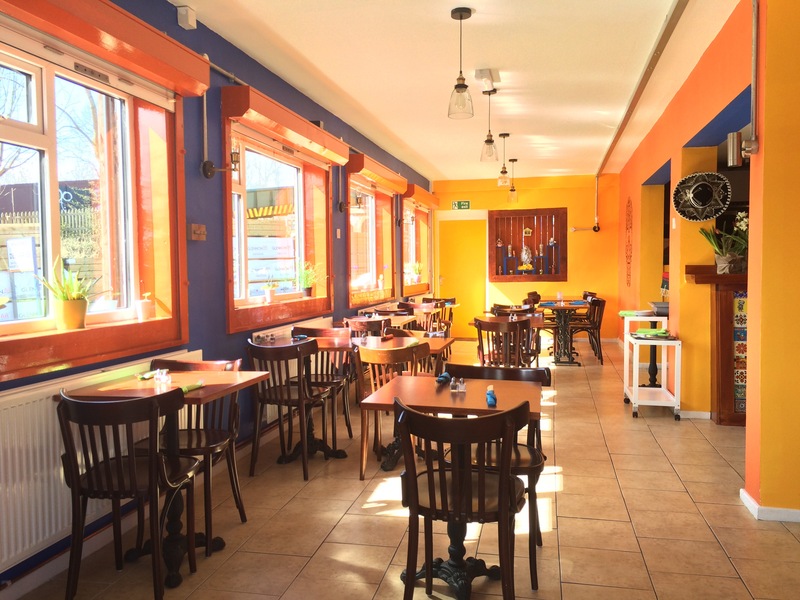 The place is a little short on space and diners may find themselves squeezed within close proximity of neighbouring diners on three out of four sides. However, that brings along with it a lively atmosphere. For such a busy time of day, they seemed a tad short staffed out front and the waiter seemed completely rushed off his feet, bezzing around as best as he could. Now who was I kidding when I said I only wanted to try the fried chicken, if only I had the willpower to resist ordering more. Even though I’d only just finished lunch!! Their buns on the menu sounded great, so my resistance wained without much effort and alongside the fried chicken were a couple of buns, one filled with spicy pork, the other with crispy chicken. The best bit – the fried chicken which were crispy, coated in a sauce that did as advertised (sweet and spicy) and topped with crushed peanuts to add texture. The chicken itself was like popcorn chicken, wolfed down within a minute and could’ve done with being chunkier pieces resulting in juicier meat. The buns could’ve been hotter, one wasn’t very hot at all, verging on the side of just warm. The better of the two fillings was the pork – sweet, spicy, sticky and sloppy. Whilst the crispy chicken was a tad anaemic and could’ve done with a bit longer in the fryer to crispen it up more. The other half’s spicy pork on rice didn’t do his gluten intolerance any favours, but was a tasty filling bowl. 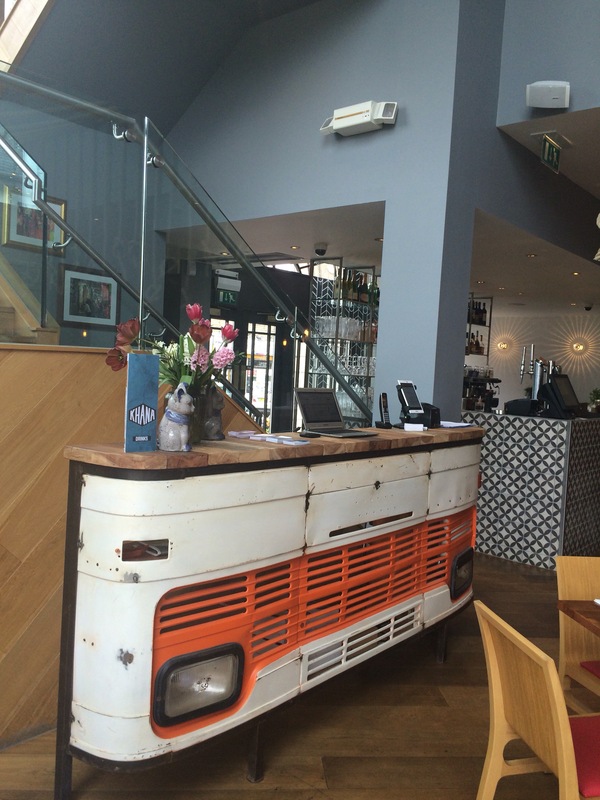 On reflection I’d say On the Bab does decent grub overall – it’s definitely not perfect, but turns out tasty food and is reasonably priced for the location. Don’t be going there for a leisurely long lunch or intimate dinner, it’s not kind of place at all I think, to me it’s more of a quick pit stop. They need to brush up on their service, more people out front would help no end. There are times when I find myself over faced with food, greediness takes over and before I know it, I’ve eaten far too much and kicking myself! You ever been in the same situation? Well early last month we’d hopped on the train into London to go for dinner, it’ll all been booked but having arrived around lunchtime which is basically 12pm in our house we couldn’t let it slip us by and started wandering around Covent Garden with more purpose. Around Covent Garden there’s so much choice it’s difficult to single one place out so we stepped off the track a touch, into the Opera Tavern. I knew the name rang a bell and it soon came clear it was a sister restaurant of Salt Yard, a place we’d enjoyed a birthday dinner last December. 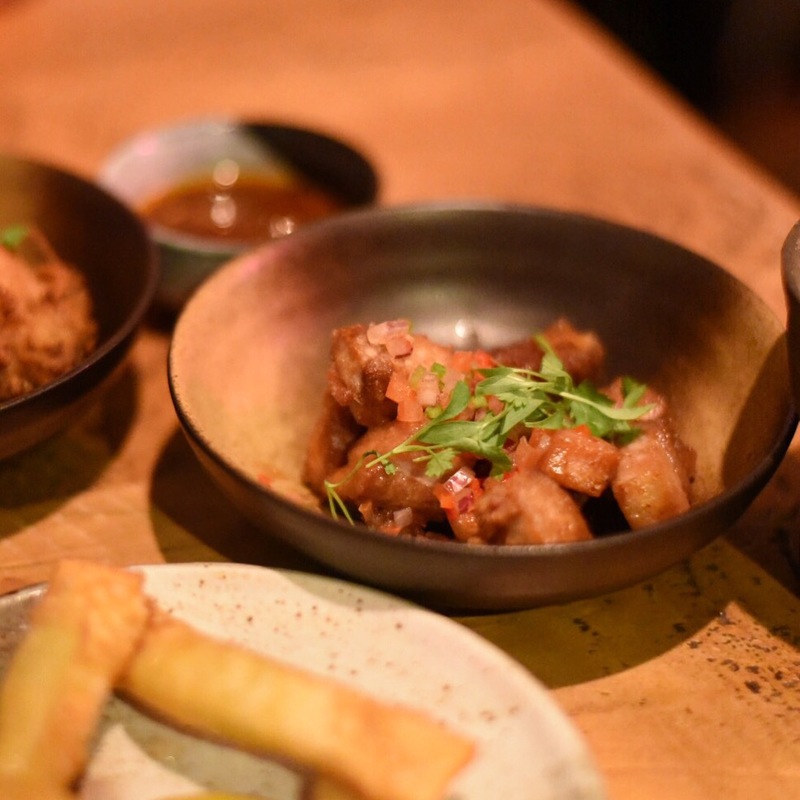 With a similar menu to their Salt Yard counterparts they offer up their small plates/tapas which is fantastic for grazing, however, also too easy to over face yourself without realising and ending up with a hefty bill at the end of the meal. Trying to pace ourselves we ordered a selection from the charcuterie, bar snacks and tapas sections of the menu. During the lunchtime service it started to get busier with tables filling up, the pace of service fluctuated and the odd dish was forgotten about and staff needed reminding. 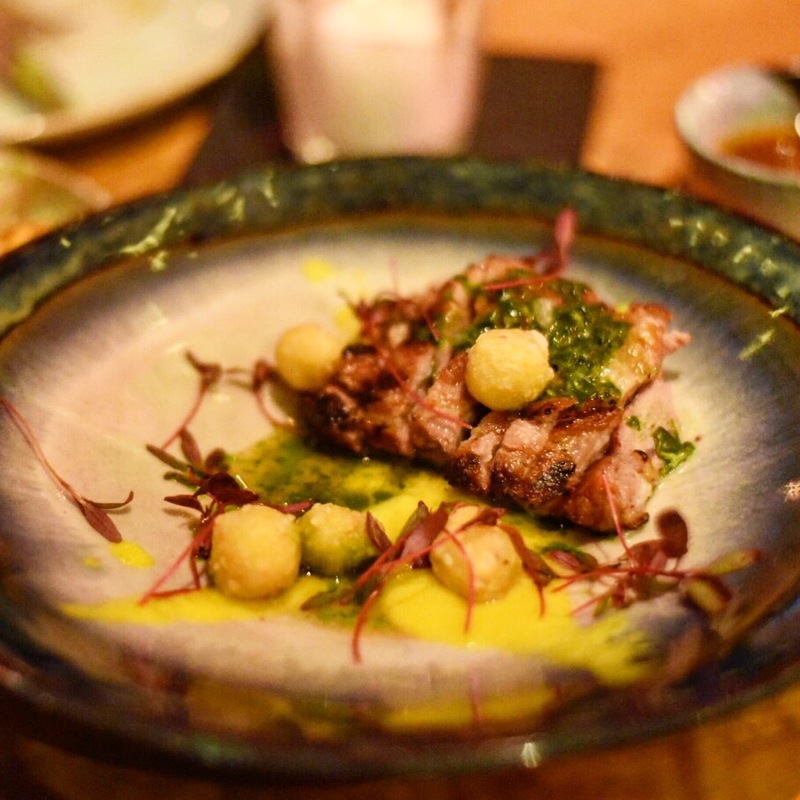 As far as the food goes, there were lots of positives – a benchmark is always the charcuterie and the Iberico ham was soft, delicate in its savoury acorn nuttiness. I’ve had it carved thinner, but on taste and texture it was bang on. The ox cheek was melt in the mouth, like it should be and the accompanying liquor and puree did all the right things to cut through the richness of the gelatinous flesh. Padron peppers had a good balance between charring, tenderness, heat and saltiness, then the crispy pigs ears were the perfect snack to nibble on, lasting a matter of a few minutes. The only fault I could really find were in the scallops, even though they were cooked to perfection – on the fence to whether they were translucent or not, there was a bit of grit, argh! What a shame because it really spoilt them. Yes, there were a couple of mishaps, however both were handled well by the staff, rectified and wouldn’t stop me from going again in the future.